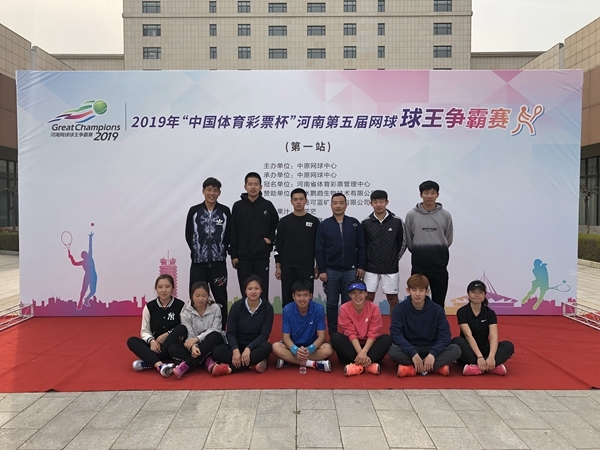 From March 15th to 17th, NWAFU tennis team, led by Wang Limin,teacher from sports department, participated in the Henan Tennis King Competition held in Zhengzhou Zhongyuan Tennis Center, Henan Province. Shen Lingtao won the men's singles championship.Shen Lingtao and Zheng Jintao won the men's doubles championship. The competition lasted for three days and attracted 676 athletes from 20 provinces, municipalities and autonomous regions including Henan, Hunan, Shanxi, Shaanxi, Yunnan, Guangdong, Jiangsu, Liaoning, Fujian, Inner Mongolia and Chongqing. The number of participants in the tournament has reached a new high, with such a large number of domestic tennis master players that the competition is unprecedentedly fierce. NWAFU has sent 13 athletes to compete in men's singles, men's doubles, women's singles and women's doubles.